Who says cookies have to be round? Everything tastes better when it's hippo-shaped. 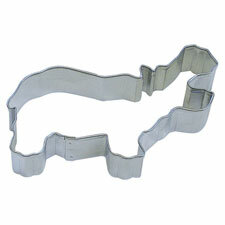 Stamp out your favorite cookies with this 4" cookie cutter - they are sure to be great!